We covet your prayers for the Lord’s work here in Hungary! Thank you for your prayers. I stand in awe at how the Lord has continually provided for His work thru the Jó Hir ministry. 2006 has been a unique year for us in many ways. God continually stretched us and prepared us for the many things that have happened. We know that the Lord through your prayers sustains us and allows us to serve Him in Hungary. Turmoil on the streets of Budapest – As you may know, the political crisis involving Hungary's prime minister/president continues to fester and ferment with demonstrations and protests on the streets of Budapest. Regardless of the outcome, the people of Hungary are suffering with staggering tax increases due to the deplorable economic situation that has a grip on the nation. Many are already hard pressed trying to live in these difficult times with no solution or remedy to be seen in the foreseeable future. Matthew 5:44 "But I say to you, love your enemies, bless those who curse you, do good to those who hate you, and pray for those who spitefully use you and persecute you”. Please continue to pray for the people of Hungary. We face a battle for truth. So we share the Word as often as possible, wherever possible and as urgently as possible. We translate and publish gospel literature to get the Word of God to places we cannot go and to reach an audience that we do not see. The calendars are a big help towards reaching this goal of bringing the light of the Word of God to the Hungarian people. You would be surprised at the many people who come knocking at our door in October & November requesting the calendars. We received over 32,000 calendars and all but a few have been distributed. Thank you and Please Pray that the Word will sink deep within all who are confronted with it! An evangelist friend Sándor Epres was visiting a rehabilitation clinic in eastern Hungary for two weeks because of some back and other problems. Naturally he brought along a hefty supply of May I Ask You A Question tracts to hand out. Two elderly women approached him after reading the tract and were eager to know how they could get to heaven. Sándor shared the gospel with them using the May I Ask You A Question tract and both women trusted the Lord Jesus as their Savior. Upon his return to Budapest, Sándor got another 300 tracts to use in his ministry. I mailed out some Christmas cards this year and sent a copy of Welcome To Heaven to an elderly woman I have been witnessing to for many years. This woman is very religious. She called me up after receiving the card and reading the tract thanking me very much for the tract, saying she read the whole thing very carefully, and that she believed everything the tract had to say. Indeed, she was very thankful! I don’t know if she trusted the Lord but this was a big encouragement to me. Please pray! Pray - Hungary desperately needs a spiritual awakening, and the government has told the people that 2007 will be a year of real financial hardship for many due to the current deficit reduction measures by the government. Pray for the work of Jó Hir, that we may continue to serve the Lord Christ Jesus, for the 32,000 calendars we have distributed throughout Hungary and in some of the surrounding countries, for the many books we have published ,and for those we are getting ready to publish. Pray for Richard Mittelstadt and for the work he does in providing the calendars. Pray also for Bible Truth Publishers and the much work they do for the Lord Jesus Christ. Pray for Frank Sréter, who has undergone some serious health problems this past year. Pray for our many translators, proof readers, and for the print shops we use to produce our literature. Pray that we will translate what the Lord desires us too. Pray for Kiss Veronika who does much of the work of the Jó Hir Literature Mission, and for Éva who helps with much of the clerical work. Pray for Veronika’s father who does not know the Lord. He had a bad experience as a child with the religion he was raised in. Pray for Veronika’s ministry to the Jewish people as she reaches out to share the gospel of the Lord Jesus. Pray for the people who have received the thousands of tracts we have passed out on the streets of Budapest. Pray that God’s Word will sink deep down in their hearts and that they will come to know Christ as their Savior. Pray for the evangelism I do in the many prisons, the streets of Hungary, and the many other places where the Lord allows. Pray for the work I will do, street evangelism, this coming July, with the Word of Life missionary, Tim Good, in Poland. Pray for my upcoming knee surgery, Friday, January 5th. Pray for my language studies. Hungarian is one of the most difficult languages in the world to learn. Pray for the work of the Dunakeszi assembly and the work they do thru the Living Hope Foundation. 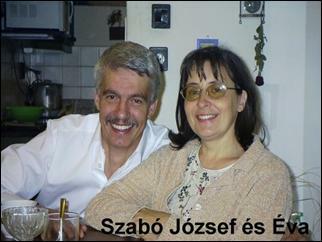 Pray especially for Szabó József és his wife Éva who do much of the work. Pray for the possibility of a larger building for the assembly to meet in. 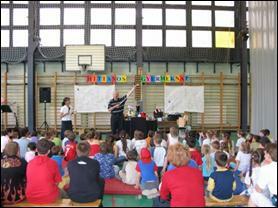 Pray for Zsolt & Kata Greskó who have a heart to serve the Lord thru a ministry to children. Pray for the work of the Budapest Christian library in Hungary and for Andy & Phyllis Anderson who have founded and run the library. Pray for Bill Trimper and the work we will do together in Hungary this coming July. Pray for Barbara, a 12 year old girl who is paralyzed from the neck down, caused by a viral infection. Pray for her salvation and that of her parents. There is so much to pray for and the laborers are few……………………. Please continue to pray for Frank Sreter. He continues to have much difficultyusing his right hand which was affected by his 2nd stroke. He also has trouble speaking as his voice box was scraped during the operation he had in order to help prevent further strokes. His voice is but a whisper. He is due to have another operation on July 17th to try to correct the problem with his voice box. The doctors are not holding out much hope that the operation will be successful. Please pray. 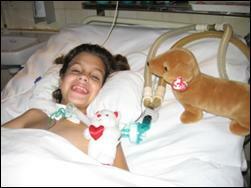 Sept 2006, the operation was a success. Frank can speak again! Thanks be to our Lord God Almighty! Please continue to pray for Barbara, a 10 year old who lives in Hungary. Last September she got paralyzed neck down due to a myelitis in her neck and upper back. The myelitis was in response to a virus attack. 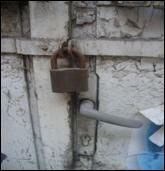 Incidence of this condition is 5 out of a million. The extent of the damage on the nerve fibers is unknown. If the nerve sheathing is damaged only, she will fully recover. However, if the nerve cells are damaged also, partially she may stay paralyzed for life. Her recovery is very slow. She can already move her right hand, legs and hips, but cannot her left arm and shoulders. She was in ICU for 5 months. Last week she was transferred to a step-down unit. She can’t get up by herself, she is like a sack of flour. So far she has been on respirator. Her throat is slit, and a plastic respirator tube is inserted into her trachea deep almost all the way down to the lungs. This tube causes her pain when she tries to swallow. She weighs 50 lbs now. Psychologically she is also devastated. She watches TV all day long, and she can’t get many good things from there. However, she was receptive to the gospel 1.5 years ago when we had vacation together in the German Alps. Veronika offered to visit Barbara in the hospital and take a book to her: The Journey of Jonathan.Regretfully patient care and rehabilitation are way-way-way behind those here in the US. Probably Barbara would be much more ahead should she be treated in this country. Sept 2006 No Change. When you pray for her, please remember also for her parents, Anthony and Anne, who are far from God, and don’t seek him and his will. The Living Hope Assembly in Dunakeszi, (Testvér Gyülekezet Dunakeszi) Their VW van has died! This van is an integral part of their ministry. The loss of this vehicle seriously impacts their ministry. They simply do not have the funds to purchase a new community, in the prisons, and reach out to many all over Hungary and in some of the other eastern block countries. If anyone would like to contribute to this need, they can send the gift to CMML with a note, “for Paul Meehan to be used towards the Dunakeszi Assembly vehicle replacement fund. 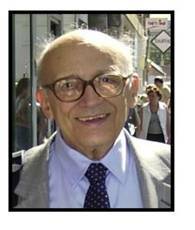 I do much ministry with József and the Dunakeszi assembly.van. Please pray that funds will be raised to replace this much needed vehicle. Please pray for the workers here, especially Szabó József and his wife Éva. Sept. 2006 - A substantial amount of money was collected allowing a toyota van to be purchased. Please continue to pray for this ministry. I was in Baracska Prison where I ministered to ~60 men. It was a good time of ministry and much literature was given away to the prisoners. At the end of the meeting I was approached by a prisoner, (Christian was his name), who shared that he came to know Christ as his Savior about one year ago after he attended one of my evangelistic meetings and after reading some of the literature he received. This man exuded a light that could only have come from the Lord God Almighty! Please pray for Christian. We received two letters from two young children, (Orsolya Balczer & Tünde Szabó), who recently trusted the Lord Jesus Christ as their Savior after reading tracts we have published. We will be sending the girls a copy of Jonathan’s Journey. Please pray for the many other children who heard the Word of God thru my gospel illusion program!! The Lord was very good as one young lady, 15 years old, stayed after the morning service to talk to one of the elders about her life of sin. She comes from a very dysfunctional family. Her name is Hajnalka. Please pray for her. 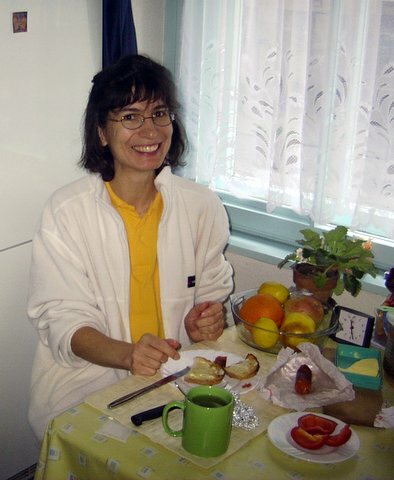 Kiss Veronika - Please pray for Veronika who manages the Jó Hir office in Budapest. Please also pray for her father, Gyozo. Please pray that he will soon trust Jesus as his Savior. Nyitrai Éva - Please pray for Éva. She works part time at the Jó Hir office in Budapest. performing miscellaneous clerical work. Please pray for health concerns.